Summary: If you are looking for a 2 seater kayak for exploring on still water then the Intex Challenger K2 is a great choice and certainly worth considering, it is great value for money and a great way to take to the water. 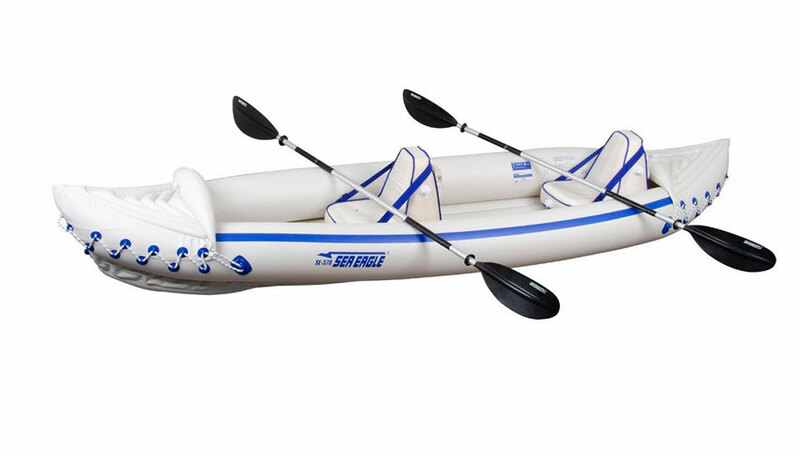 The Intex Challenger K2 is a sporty and fun streamlined Kayak ideal for two people to go out and enjoy. 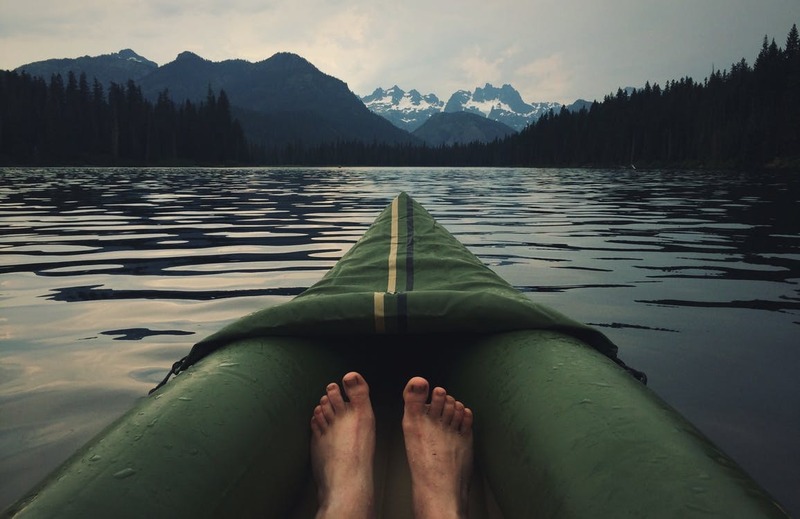 The canoe is made from the company’s rugged, super-tough vinyl that’s puncture and UV damage-resistant for long term durability making it great for adventure seekers and going into tight rocky areas. 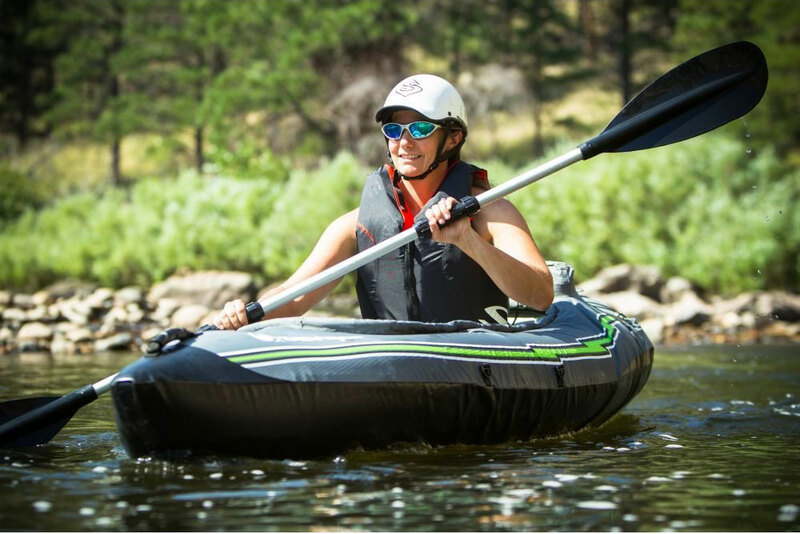 The Intex Challenger K2 Kayak is one of the most popular inflatable canoes on Amazon US so we take a look to see what makes it stand out. 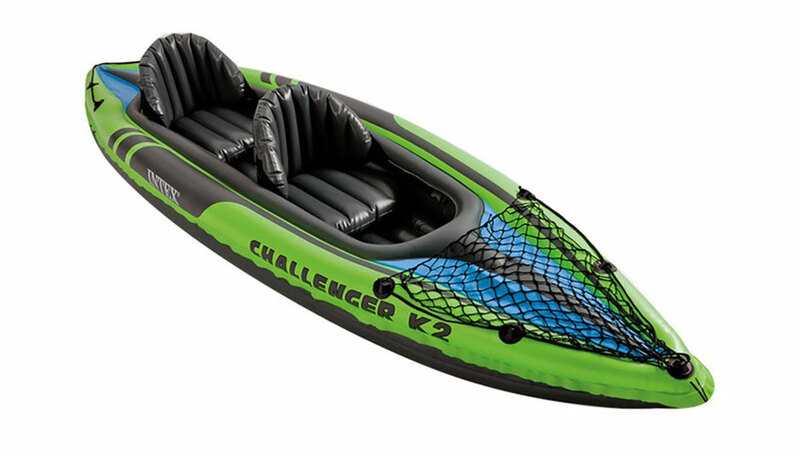 We take a look at the features of the inflatable Intex Challenger K2 canoe and see why it is such a popular choice and weather it is worth buying. 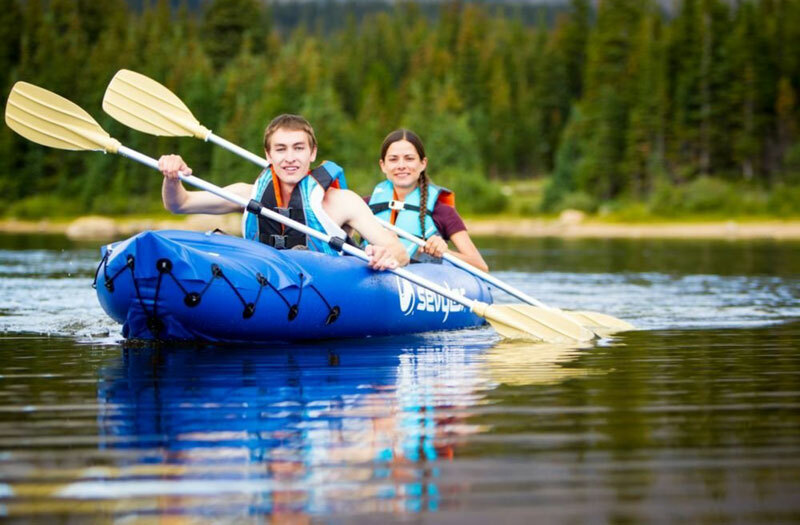 The K2 is designed for two people and is an ideal craft for lakes and mild rivers. Coming in a bright green, black and blue color scheme it has two inflatable seats that drop in which are black. 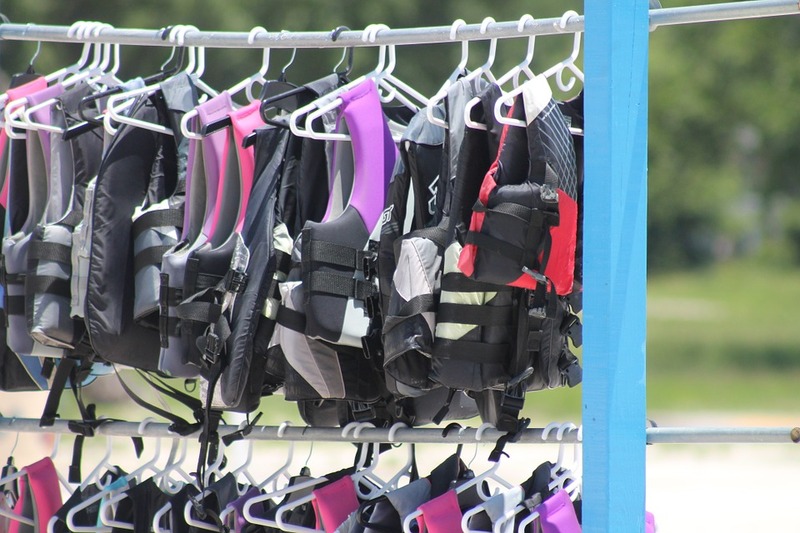 At the front of the kayak is a netted section which allows you to store sandels and flip flops for example. You will also find a grab line on both ends of kayak for easy carrying. underneath the canoe the skeg has been redesigned on this model and slides and then clicks fully into place. 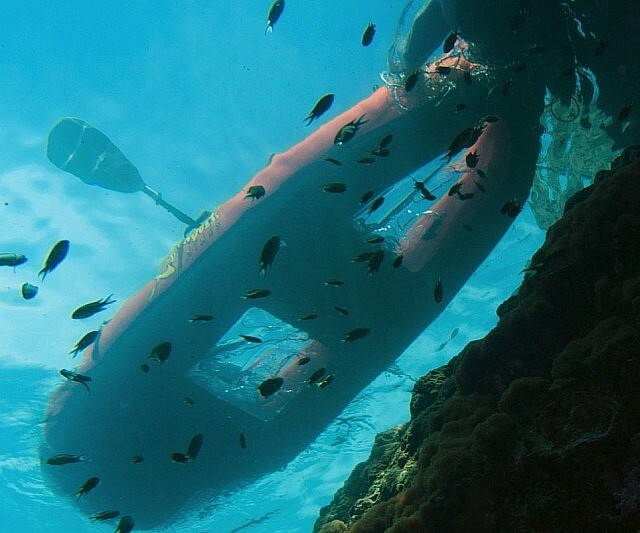 In terms of handling it is perfect for still water and exploring, it isn’t suitable for anything too extreme or where there is a strong current. 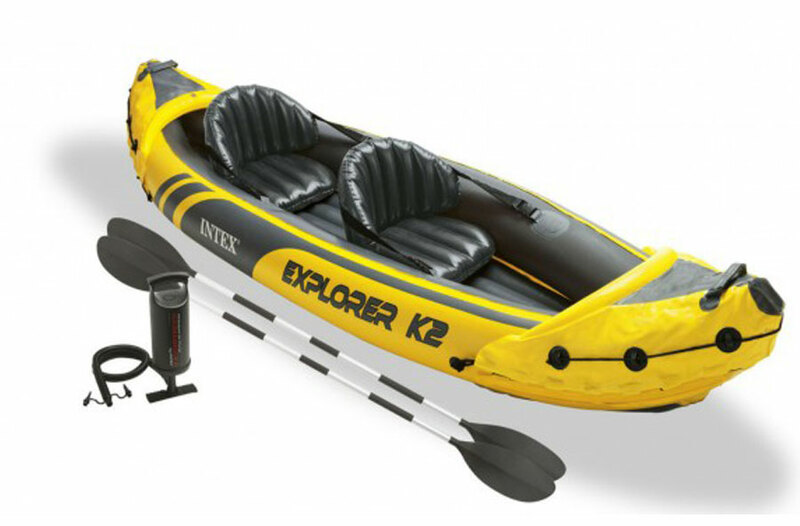 If you wanted something to go exploring in, on still water in a lake or river then the Intex Challenger K2 is ideal. 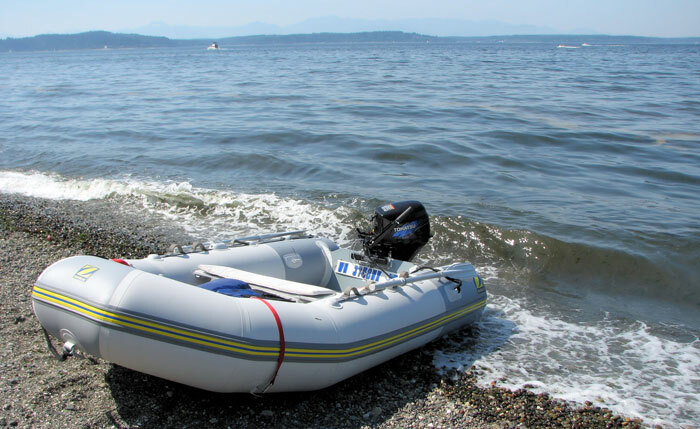 The kayak is very quick and easy to set up, it comes with a hand pump, once inflated it measures 30 x 15 x 138 inches (W x H x D), with a 350-pound maximum weight limit. Inflating the canoe with the included hand pump took around 15 minutes. 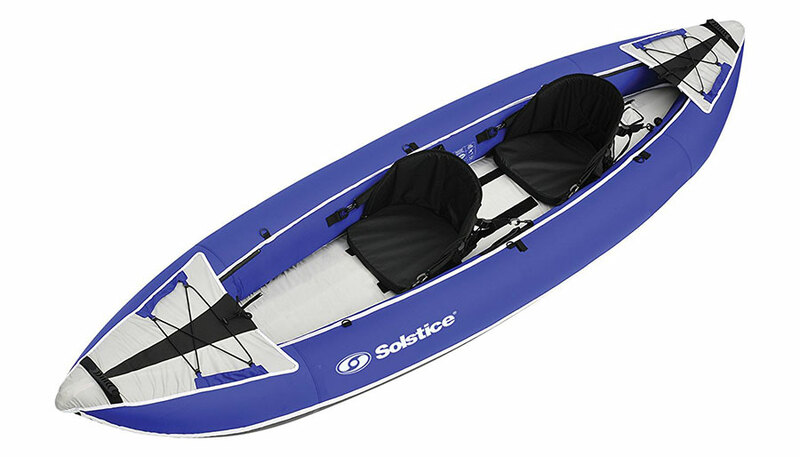 There is an inflated base to the kayak which aids in comfort as well as helping with the strength of the structure. Made from a super-tough vinyl it is very robust, there is no need to panic if you ever go close or bump off a rock. The two seats can be inflated so suit your comfort, inflated a lot will create a firmer and more sturdy seating position while if you want something a little more softer then let out some air to your desired comfort. The seats are removable so if you wanted to go out on your own you could remove the seats if you wish, ideal for still lakes where you can paddle out and the relax in the peace and quiet under the sun. The Intex Challenger K2 Kayak is ideal for all ages, while this model is for two people you can be a single seater version if you wish. 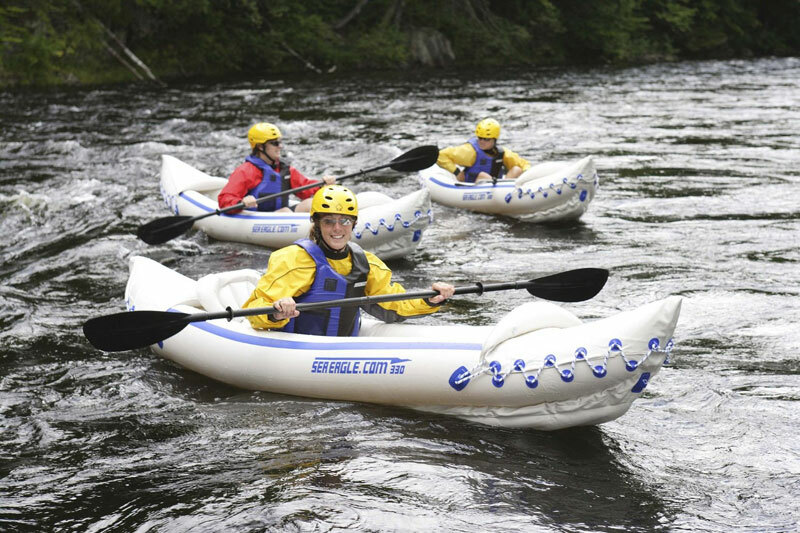 It is perfect for exploring on for lakes, still water and mild rivers. It is easy to control and has a good turning circle. 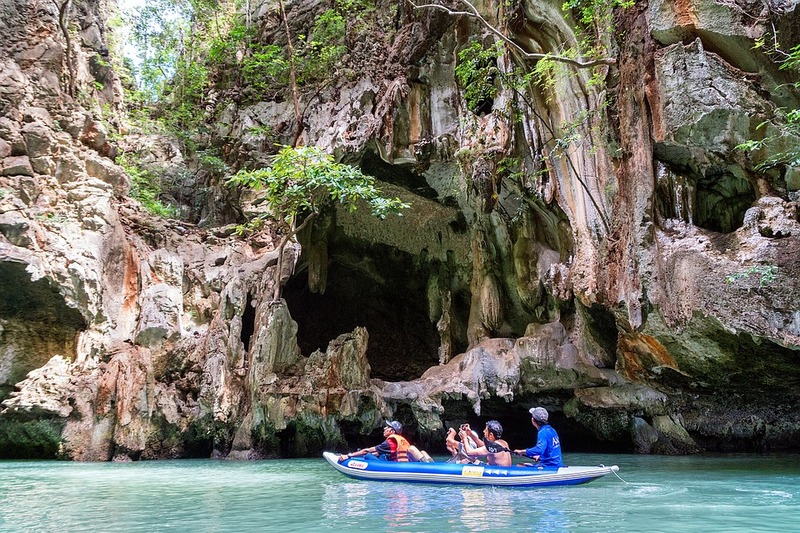 With a 350-pound maximum weight limit it is perfect for 2 adults, it has a robust structure and built from a strong material making it great for exploring. 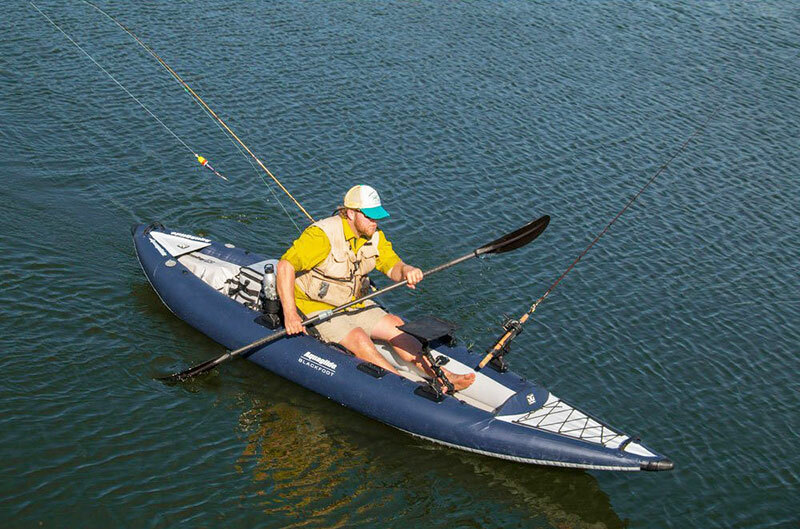 With the kayak you also get two 84-inch aluminum oars, a high-capacity pump, and repair patch kit. The oars break down into two pieces making it easier to carry and store when not in use. The included hand pump is compact and simple to use, the pipe easily fits onto the pump and then into the kayak, the pump isn’t huge so does take a little bit of effort to get the kayak fully inflated. We round up the pros and cons of the Intex Challenger K2. Great Value – The K2 is great value for what you get and how easy it is to set up. Robust – It is well designed and made from a robust super-tough vinyl. Easy to store – Rolls up very compact making it ideal for keeping in your car trunk. The included hand pump isn’t great but does the job. 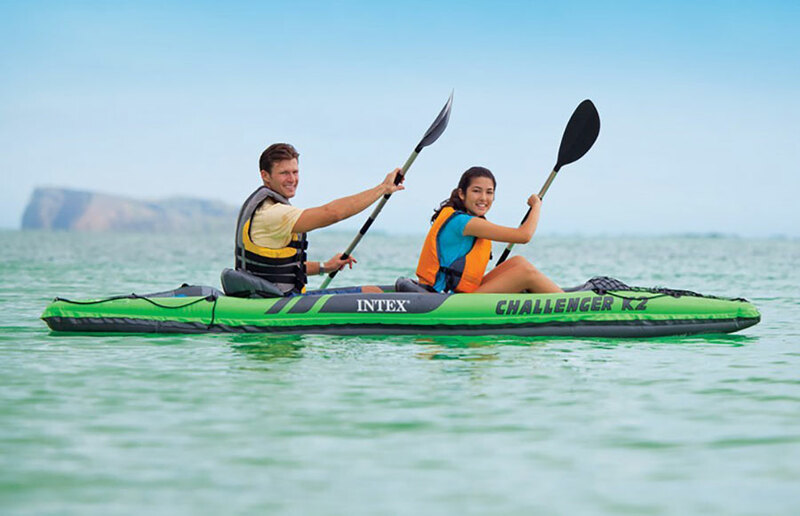 If you don’t want to spend a fortune then Intex Challenger K2 Kayak is a great choice and also great value. It is a robust design and perfect for 2 adults to go out exploring in. The seats are removable and it could be used by a single person too. 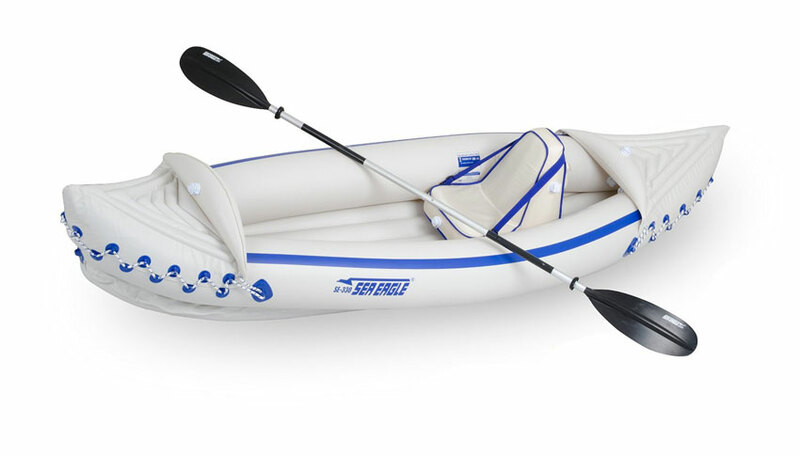 This is great for adults to go out in with there kids and a great first inflatable kayak if you don’t have one already. It is great value and you can see why it is a popular choice and why there are so many positive reviews. 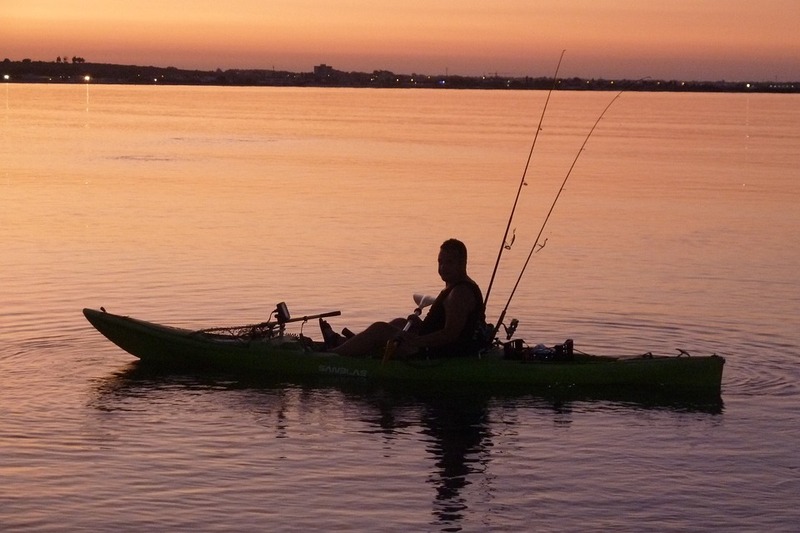 If you are looking for a 2 seater kayak for exploring on still water then the Intex Challenger K2 is a great choice and certainly worth considering, it is great value for money and a great way to take to the water. DOES IT COME WITH A CARRY BAG? ?